Delhi is India's capital and 2nd largest city. It is also one of the oldest cities in Asia and the many layers of its history make it a fascinating places to visit in Delhi. 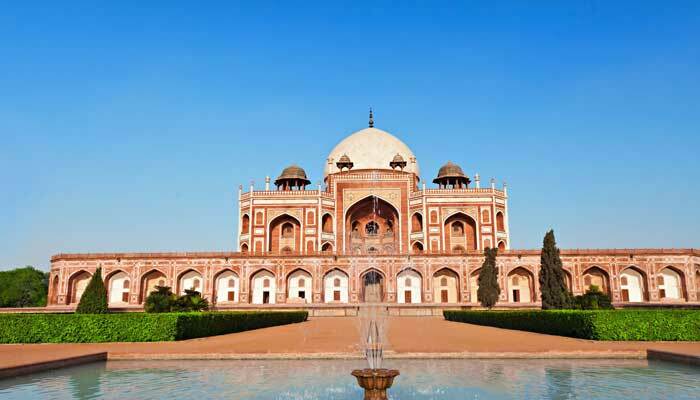 Delhi is the leading international gateway into north India and for many visitors arrival here will be their first taste of the country in all its splendour. India is often described as a land of extremes and of contrasts and Delhi certainly lives up to this reputation. There is no escaping the occasional glimpse of chaos and poverty, but at the same time the city bursts with beautiful architecture, extreme wealth and an ever-improving infrastructure as the city strives to recreate itself as a 21st	century megacity to rival those elsewhere in Asia. For the visitor, Delhi can be seen in three main sections: Old Delhi, New Delhi and South Delhi. Old Delhi refers to that part of the metropolis on the west bank of the Yamuna River and a typical sightseeing tour of the city will begin here. This part of Delhi is home to the Jama Masjid- the largest mosque in India and possibly its grandest as well. Nearby are the markets of Chandni Chowk which are the busiest in Delhi and present an incredibly vibrant picture of the city and her residents- a cycle-rickshaw ride through these markets is a truly eye-opening experience. Two of Delhi's greatest monuments are close by - Humayun's Tomb which resembles the Taj Mahal albeit on a smaller scale and the infinitely more humble memorial at Raj Ghat which marks the site where the father of modern India, the great Mahatma Gandhi, was cremated after his assassination in 1948. This is a deeply poignant site and a place of great reverence for locals and visitors alike. During the early part of the 20th century, New Delhi was conceived as the capital of the British Raj (the previous capital was in Calcutta, now Kolkata, in the east of the country). The architecture of the grand government buildings of New Delhi is primarily the work of one man- Edwin Lutyens- and is uniformly impressing and imposing. Although the buildings themselves are not open to the public as the form the seat of India's central government, a tour of this area gives a glimpse of yet another of the eras of Delhi's development. Ironically British rule lasted just 15 years after the capital was shifted to Delhi- 1932-47. The complex history of Delhi through the ages means that no one part of the city is a separate entity from the others and the different parts overlap in many places. South Delhi is home to two stupendous sights. Qutb Minar is the tallest brick minaret tower in the world and reaches over 70 metres in height. This impressive structure, set in beautifully maintained grounds attracts more visitors in some years than the much more famous Taj Mahal. Also in the same complex is the mysterious 'iron pillar' - a mysterious object which has confounded experts who are unable to explain its exact origins. Of much more recent origin, but also in the same general area of Delhi is the Lotus Temple- a spectacular structure which is the largest house of worship of the Baha'i faith. There are so many tourist places in Delhi to visit like India Gate, Red Fort, Qutub Minar, Jantar Mantar and many more.